He hadn’t seen Valery Kharlamov skating by yet, or faced Yevgeni Zimin’s wrist-shot. Mid-August, 1972: it was summer still, a Sunday afternoon, and Ken Dryden was still just a goaltender in his underwear. 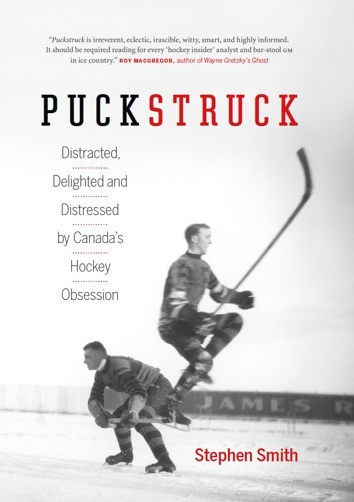 “I think our guys will be in adequate shape,” Canadian coach Harry Sinden was telling The Star’s Jim Proudfoot the next day after he’d overseen a 90-minute skate. Upkeep: “The Hawks have their own small hospital in the Stadium,” The Chicago Tribune advised its readers in January of 1938. 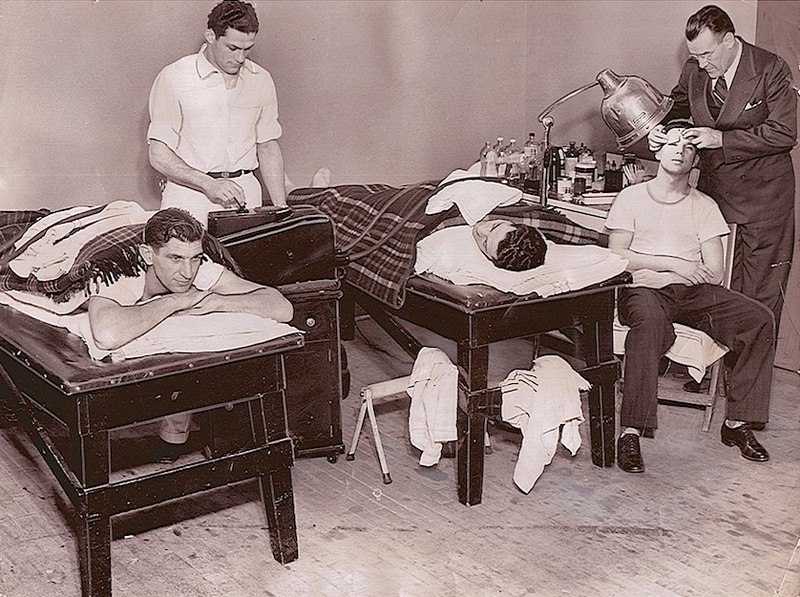 On this visit, patients included (left to right) Johnny Gottselig, in for treatment on a swollen knee; Pete Palangio, sore of shoulder; and Doc Romnes, getting his stitches checked by Chicago team physician Dr. R. W. Meacham (a.k.a. Dr. Mayhem). That’s trainer Ed Froelich spinning the dials on the diathermy machine. The Hawks had been in a bit of a slump and before their next game, coach Bill Stewart saw fit to revamp his line-up. Palangio was part of that, ending up St. Louis of the minor-league AHA. The Hawks who stuck around went on to beat Montreal’s Maroons 1-0 on a Gottselig goal. Things started looking up after that, all the way through to April, when Chicago beat Toronto to win the Stanley Cup. Palangio was back for that; as Andrew Podnieks points out, he even got his name engraved twice on the Cup that year. Well, more or less: the first time it’s spelled Palagio, with no first name attached. 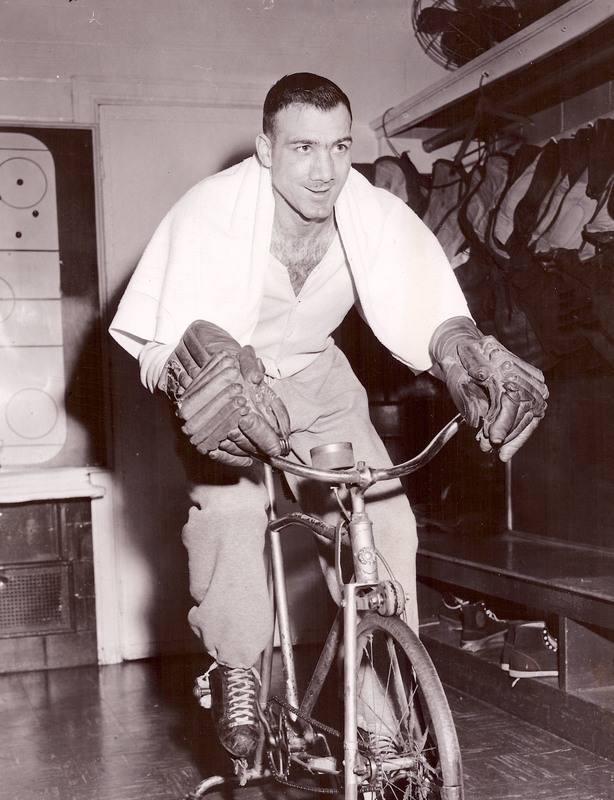 Almost There: You can’t see the damage here — post-plastic surgery, Jerry Toppazzini of the Boston Bruins looked pretty good in early March of 1957. 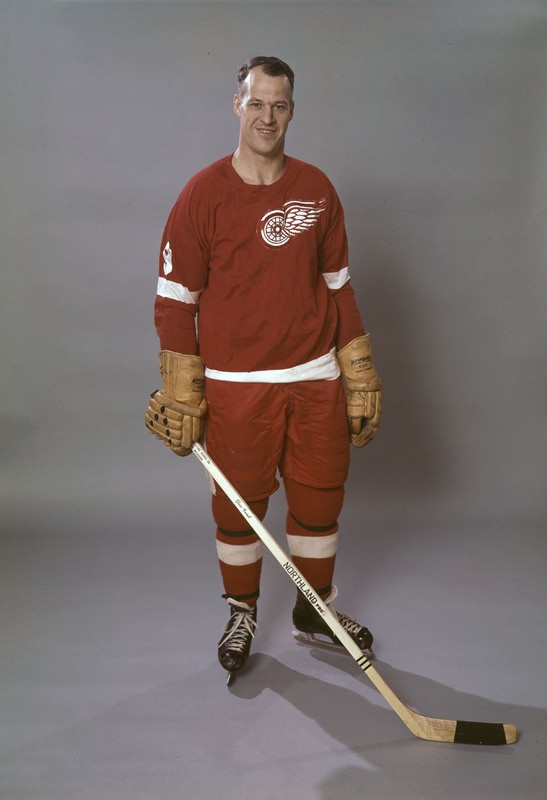 A month after suffering what doctors called a “complicated” facial injury in an encounter with Ted Lindsay’s stick, the right winger still wasn’t back on the ice. He hadn’t even left Detroit yet, in fact, the scene of the crime. 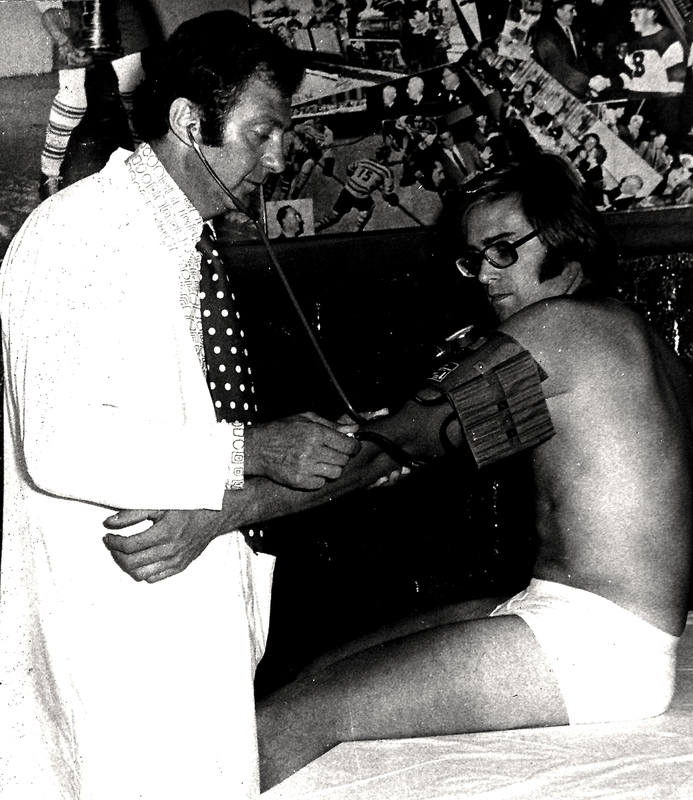 While he waited for his doctor’s okay, he was skating on Red Wing ice at the Olympia and (above) at least pretending to work out. Six weeks he’d be out, minimum, said the papers, if he wasn’t finished for the season. Toppazzini, 25, was the Bruins’ leading scorer at the time. He went down. Removed to a dressing room, he took on 16 stitches from a doctor trying to close cuts to his nose, lips, and starboard eyebrow. 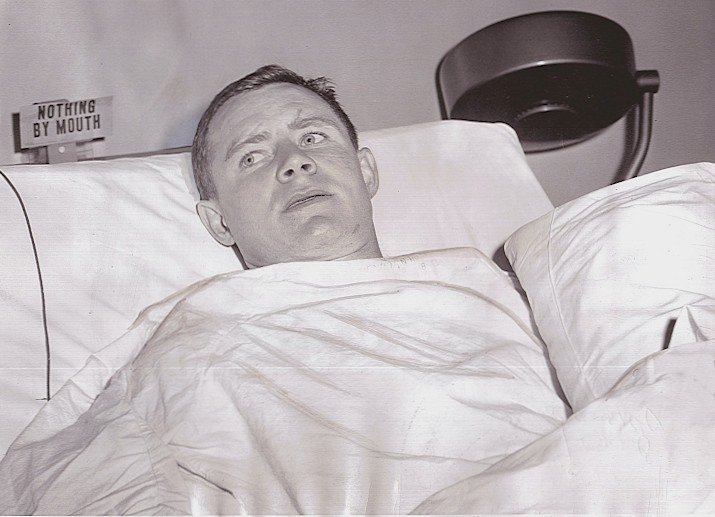 Later, at Detroit Osteopathic Hospital, Dr. Milton Kosley examined an x-ray and reported a broken nose and “complicated fractures of the middle third of the face” as well as “partial chipping of two front teeth.” Once the swelling went down, he’d operate. Back at the rink, Lindsay got a high-sticking major from referee Red Storey. Protesting, he earned a 10-minute misconduct and the $25 automatic fine that went with it. “The puck was loose,” was how Lindsay told it to reporters, “and Toppazzini and I both were going after it. I jumped for it and so did he. I wasn’t trying to clobber the guy — we were a goal behind with just a couple of minutes left to play.” Why would he want to take a penalty? For his part, Toppazzini couldn’t summon up a grudge. “I’m sure Ted didn’t do it intentionally,” he said. He was back playing by mid-March. No-one had expected much from the Bruins that year, but Toppazzini was one of the sparks that fired them into third place in the final regular-season standings. They kept going in the playoffs, all the way to the Finals, where they lost to Montreal.